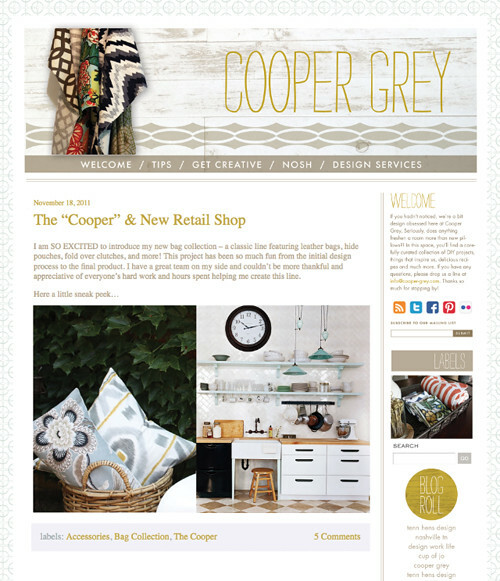 A friend of the hens, Cooper Grey, called us a while back in need of our design services. 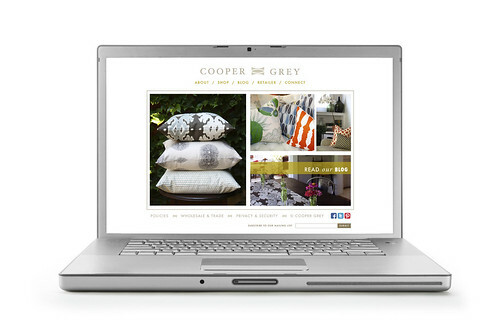 What started with a logo + cards eventually led to a new website, photoshoot, and blog launch. Hooray! It was great to work with someone who truly has a great eye. 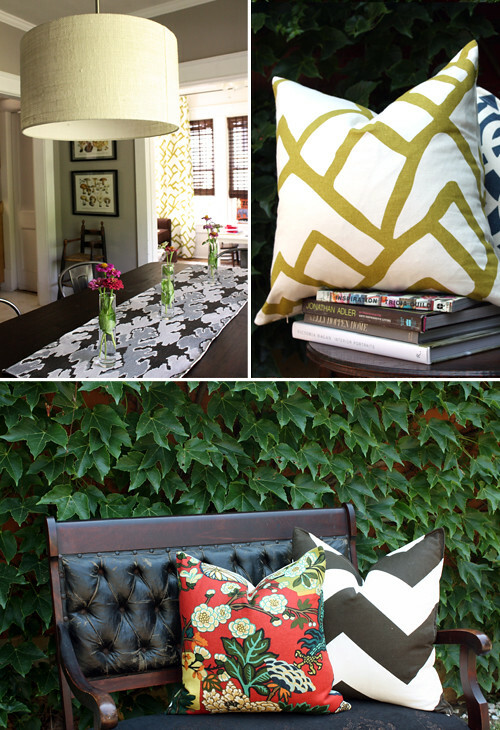 Ceri uses designer fabrics to create gorgeous pillows and all sorts of items. She had loads of ideas and inspiration, but we whittled it down to her key goals and came up with a modern, clean look with loads of personality… just like the designer. She has since launched a handbag line and has all sorts of other ideas cookin' away. Be sure to check out the blog because there are recipes, decorating ideas, and even a little fashion thrown in - this girl does it all so look out everybody!